We are a leading provider of respite care services in Stamford, Greenwich, Darien, and all other Fairfield County communities. 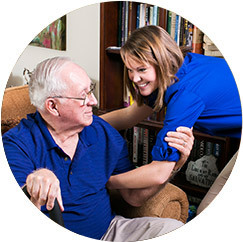 We believe that compassion, generosity and patience are the hallmarks of a caregiver, regardless of whether he or she is caring for an elderly, chronically ill, or a disabled loved one. They are hallmarks of you, because you have committed to providing everything your loved one needs to make sure they continue living a quality life, and because you care about them. You have shown that you’ll do everything you can to help those you love. Your dedication to a loved one is more than admirable, but respite care and care giving can be a very demanding role, and you need to make sure you’re thinking about your own needs during the process. If you don’t take care of yourself, both you and your loved one may suffer for it. You have to take into consideration your own happiness and fulfillment, and if you don’t, resentment toward your loved one can be created. Eventually, making others’ concerns your main concern can let that resentment fester, until your relationship with your loved one instead becomes only about obligation. This is unfair to both you, and the loved one who needs your care, when the goal of your relationship is for both of you to be happy. 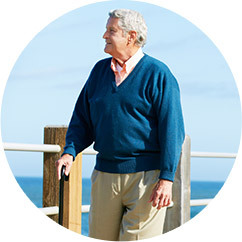 We desire to allow you the opportunity to relax from your responsibilities as a caregiver to your loved one, to instead focus on your own needs, and so we have developed the FirstLight’s respite care services, available to Greenwich, Stamford, Darien, and all other Fairfield County communities. 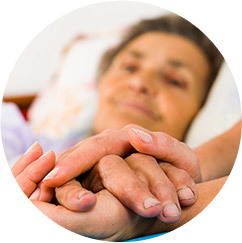 We will be there to ensure that your loved one’s elderly care is continued at its best while you’re gone. With several options from needing assistance for a couple of hours, an entire day, or overnight, we offer compassionate, professional caregivers for all your respite care needs in Darien, Greenwich and Stamford. These caregivers are even available for longer terms, and whether you only need them once, or on schedules. Any adult who needs our help has these services available, whether they’re elderly, which we specialize in, or have disabilities. Throughout our lives, we make a life for ourselves: we develop hobbies and interest, careers; we marry and start families. These are all things you have as well, that are fundamentally part of who you are, just like being a caregiver is only part. You need to pay attention to all of them and not only being a caregiver, or you can experience detrimental side effects, like exhaustion, increased levels of stress, or even more serious health concerns. Everyone deserves the opportunity to relax from their responsibilities, and there’s no need to feel guilt for the desire to refresh and take some time away from everyday routines. This is completely normal, in addition to being healthy. You can even help your relationship with the person you care for grow stronger, because you’ll have more energy and be happier around them. The goal of our FirstLight Norwalk respite care services is to never compromise the excellence of the care and attention your loved one needs, while making sure you have everything you need to be at your best. FirstLight Home Care of Fairfield County offers respite care and elderly care services to the local communities Fairfield County, including Darien, Greenwich, and Stamford.